Fear of cloud technology is, in part, driven by its name. Many of us perceive clouds to be short-lived, impossible to reach, and inaccessible—attributes that we don’t always want for our storage and compute needs. 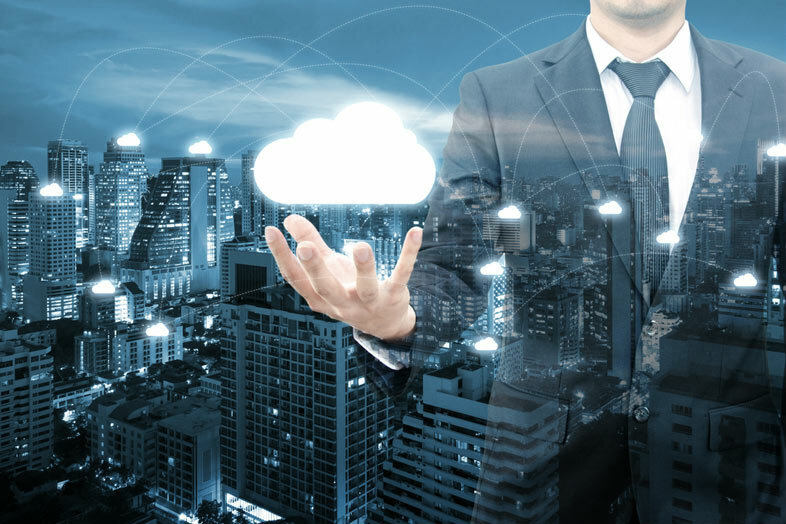 And the term “hybrid cloud” does more to confuse than clarify; although cloud solutions have been available for over a decade, there are still many uncertainties that prevent adoption—cost, security concerns, and lack of expertise. It’s the hybrid cloud’s reliability, cost efficiencies, and ease of use that make it a complete solution for businesses large and small. Cloud computing is described in one of two ways, and services are separated into three basic categories: public, private, and hybrid. Public cloud services, like the storage and infrastructure offered by Google or Microsoft Azure, allow customers to “lease” cloud resources, which are hosted by the vendor. The private cloud designation offers a dedicated infrastructure that is not shared with any other organizations. On the other hand, public clouds are built on shared resources. Private clouds are hosted on-premise or externally by third-party vendors who specialize in cloud hosting. Scale easily and are more agile. Manage network assets more efficiently. Deploy new applications more quickly. Faster data speeds. Hybrid networks can be set up to send essential data to private servers, vastly increasing load times and transfer speeds. Better security. Private servers store sensitive data with layers of encryption that only in-house users can access. Non-sensitive data can be publicly stored and accessed through a public service. Cost-Effective. When you allocate resources properly and manage usage, hybrid cloud is the most cost-effective solution. Despite the advantages of moving to a hybrid cloud, there are some risks. Consider that being dependent on only one cloud host can put you at risk. In this situation, it’s best to create redundancy across various cloud platforms. Maintaining regulatory compliance is a top concern for those who handle sensitive data; all cloud services must adhere to security measures to protect against breaches. What the hybrid cloud does is simple–it transfers data between the private and public network–but it requires a complex setup, secure connection, and careful management. Even as cloud adoption soars, integration remains problematic. As of last year, 82% of businesses are using a hybrid cloud solution in some form, but many companies discovered that integration isn’t quick or painless. Recent Cloud Endure studies show that 65% of companies rather perform cloud strategies and migrations alone, but instead rely on service providers and system integrators to assist. During adoption, the C-suite should work closely with the technology providers to develop a safe plan for transition. Be sure to vet their capabilities, features, and portability, so there are no surprises later on. You can then shift your focus to migration and integration planning, and worry about optimization shortly thereafter. Financial services, government, education, healthcare, and other industries with regulation and compliance obligations don’t want to invite public scrutiny. However, many concerns over cloud adoption are based on myths, fears, and mismanaged expectations. Is Enterprise Networking Lost in the Cloud?